Cairns are ancient, human-made stacks of rocks indicating a landmark or memorial site. Modern-day hikers use cairns as directional markers for those following their trail. 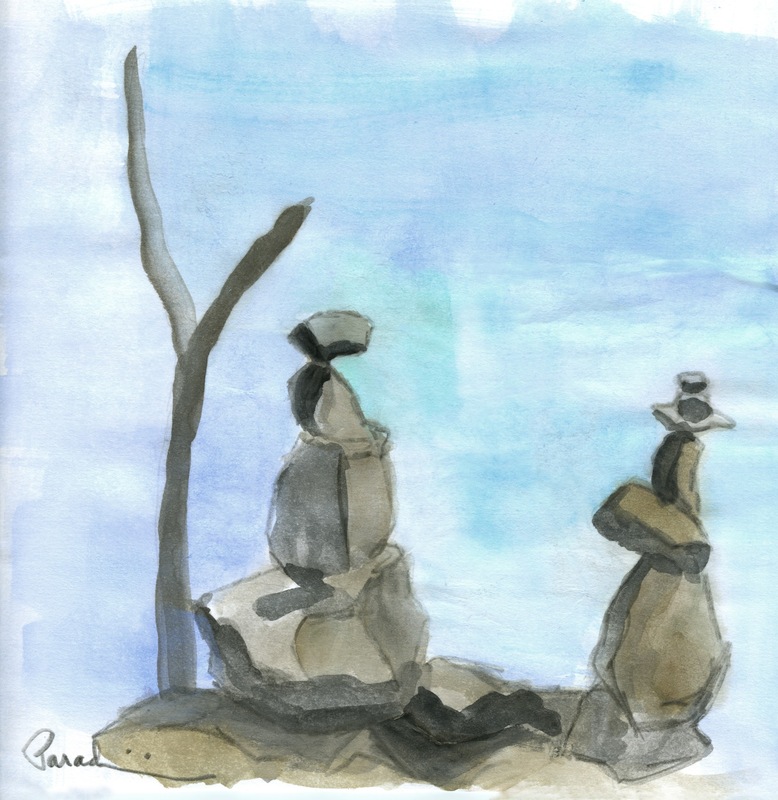 Not long ago, I came across a group of cairns while walking along the Willamette River. Most likely, they were merely an artistic expression, but only the person who left them knows for sure. In a way, Advanced Directives and DNR orders are healthcare cairns, marking directions for end of life journeys. Also like Cairns, without an understanding of the patient’s intent, their meanings become open to interpretation, and subsequently, misinterpretation. Misinterpreting Advanced Directives and DNR orders is a common occurrence among physicians and nurses. Much confusion stems from the lack of a national standardization of end of life directives, and their communication to a patient’s healthcare providers. One article describes a hospital using yellow armbands to indicate that a patient has DNR orders.² Oncology nurses will especially appreciate the problem created for that hospital’s oncology unit, where many patients arrive wearing yellow Livestrong bracelets in support of finding a cure, not as a declaration of DNR status! Terminology also contributes to confusion. Many physicians and nurses wrongly interpret DNR (Do Not Resuscitate) to mean Do Not Treat. Reviewing a patient’s Advanced Directives, DNR orders, or POLSTs (physician orders for life-sustaining treatment), and making them readily available to a patient’s healthcare team, helps prevent unwanted treatments, while providing comfort care per the patient’s wishes. In March 2012, The ANA Center for Ethics and Human Rights revised their position statement, “Nursing Care and Do Not Resuscitate (DNR) and Allow Natural Death (AND) Decisions,” defining the responsibilities of nurses following end of life orders. What are your experiences with end of life orders? What is your institutions’ policy?